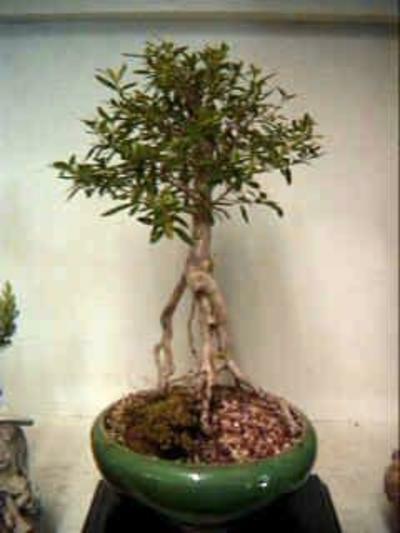 Graceful tropical bonsai with lots of flowers, gnarled and twisted trunk and interesting surface roots. Excellent indoors in high light. June Snow is the Chinese name for the white blooming variety of the Serissa Foetida. All are planted in ceramic bonsai pots.